Gavin Chilcott won the 1985 edition of Cat's Hill . I won in 1984 . 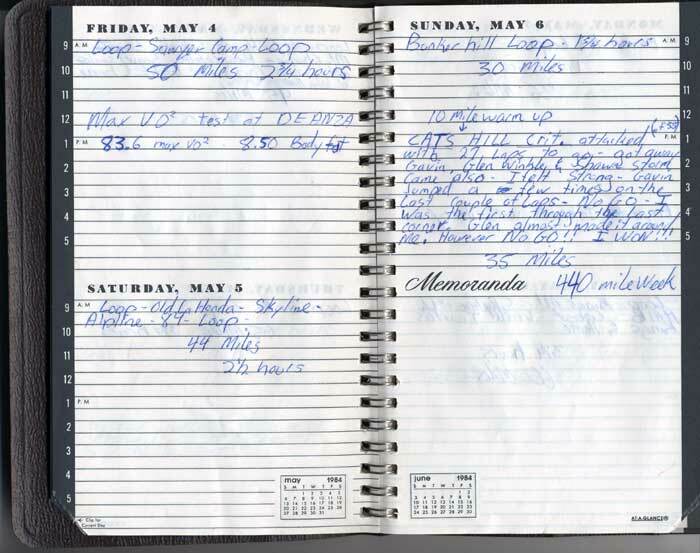 I've always had great memories of Cat's Hill with it's challenging course and GREAT crowd! Thanks for your enthusiasm and willingness to listen to my input and for your encouragement to look for keep-sakes and relive a very fun time in my life. Over the years I've really enjoyed Cat's Hill from the standpoint of a competitor as well as a fan of bicycle racing. Keep up the good work. The photo I've attached is from my initial attack about 2/3 of the way through the race. 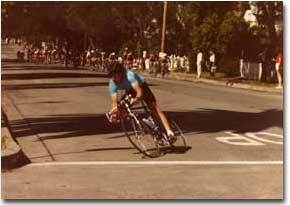 I recall attacking on the finishing stretch and the photo is of me rounding turn one. The two chasers at the front of the field are Glen Winkle and Gavin Chilcott in that order. 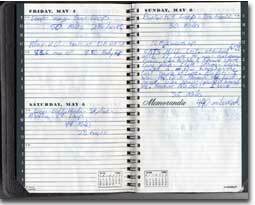 I found my journal from 1984 turned to the Cat's Hill weekend, May 6th. The entry speaks for itself. During the week leading up to Cat's Hill I had my body fat and Max VO2 tested at De Anza College, results noted on Wednesday of that week. 1984 was a particularly good year for me. 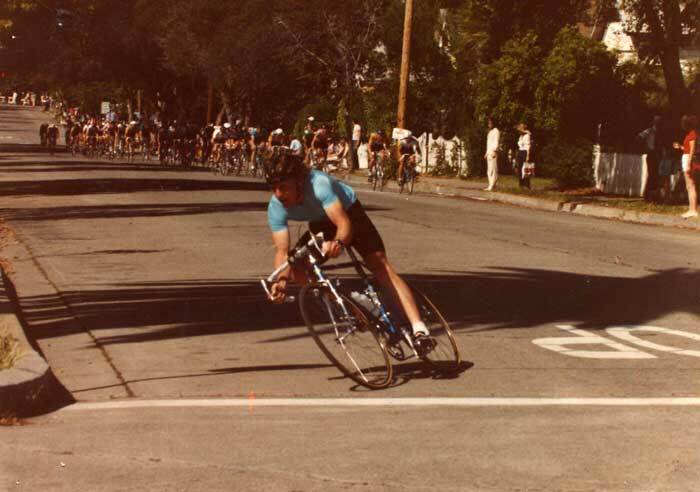 I won 7 races in all including Mount Hamilton and I qualified for the Olympic Trials in Spokane, WA as well. 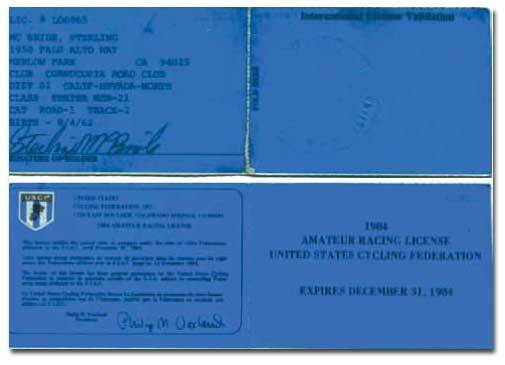 I've attached my 1984 racing license for good measure too.